In what seemed as the longest wait for a game in my life, I discovered that I actually have more patience than I thought. SuperGiant Games had announced the release of Pyre on the 25th of July since a month or so ago and I was more than thrilled to get a hands on experience with it. Alas, Hyper Light Up is not that big of an outlet and therefore we had to wait until release to try it out, but our patience was very well rewarded. Here we are, after 13 hours of gameplay on it and I am more than ready to tell you about the latest masterpiece by the studio that already delivered us two other very legendary indie games. 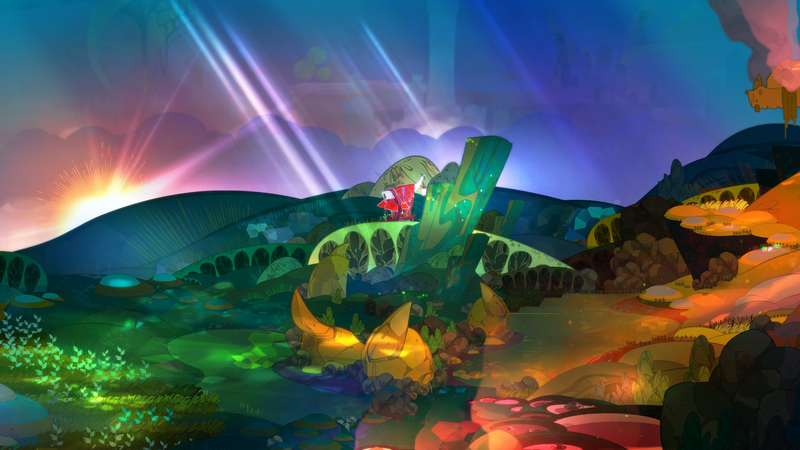 Let’s talk about Pyre and how its flames have only managed to make us thirst for more. Spoilers or no spoilers, I will have to tell you now that this review will have a few references to the story and how it passes on certain feelings to the player through various experiences throughout the game. I shall not reveal anything to you that would otherwise reveal things about the storyline but I will most certainly mention a few things here and there that you find out about an hour after you are through the game. Not exactly spoilers, but rather the essence of the very game itself, therefore making it impossible not to talk about. 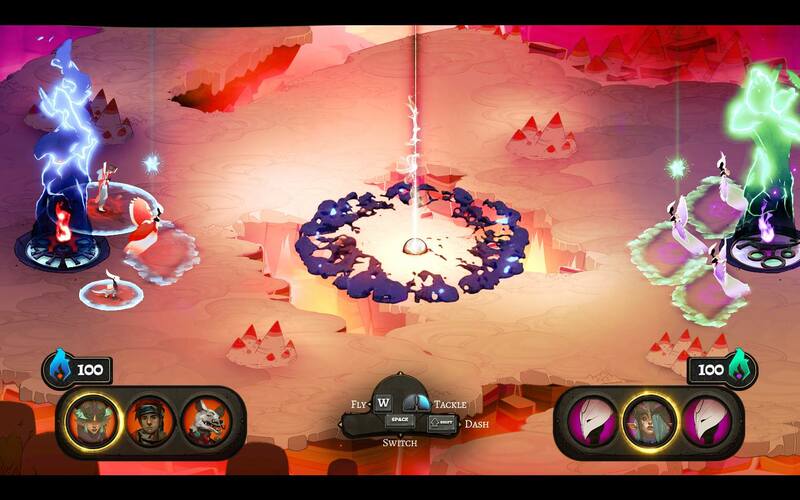 Pyre comes to us with the genre titles “indie, action, RPG.” I shall assure you now of the fact that it is indeed an indie game, very much walking on grounds that other games dare not even look into, making the risky move of introducing a weird and entirely new blend of gameplay to players that are most definitely not ready for them. However, it is not action, or RPG. I mean, it does have its moments that it does feel like that, but seeing how it takes an entire week’s evening to complete the game and you only get to see that much action, I would rather call the game a visual novel. Fear not though, for this is not a backdraw. It is rather likely an advantage to its appeal as a game overall. The game has a big, mysterious and initially abstract-looking world that slowly explains itself to you through the stories of various characters and various happenings that you happen to walk into. We start off as a person who is found by a wandering caravan, driven by three strangers, all weird folk in their own way and not all human. Soon enough we realize that our role in this, is that of the guide and the people we are with all have huge stories to tell us. Although, they need to trust us before we can know their tales. A human, a horned woman and a talking dog are who we first meet and we get to understand quite fast that this world is filled with more than just humans. It took me about five to six hours to start realizing how this world is connected in various ways to the many things that are happening and a little bit more than that in order to start realizing what the purpose of most of the beings there is. This is basically the part where I might spoil you a bit, though I assure you that it is the very essence of the game and you are not losing any surprises by knowing this. Basically, the world you find yourself in is the Downside and it is where Exiles cast upon to rot, serving their sentence for whatever wrongdoings they have committed in the above world of the Commonwealth. The Exiles make bands and then try competing in the Rites which are basically these Pyre fights, which ultimately showcase which team is more worthy to progress all the way to the Liberation Rite. As soon as you reach the Liberation Rite, if you win, your annointed member can be freed and sent back into the upper world. 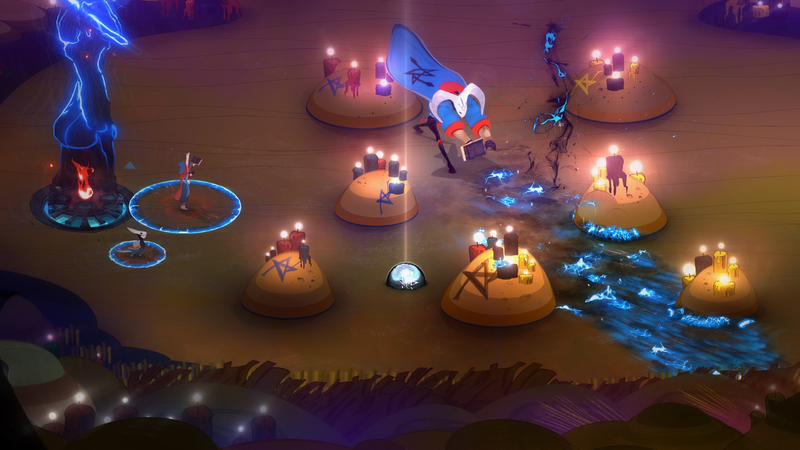 The Pyre fights are basically all about grabbing an orb from the ground and trying to reach your opponents’ Pyre in order to extinguish it. Sounds simple right? Well it is not. The game has so much lore depth and it manages to take advantage of this whole “Rites” system perfectly in order to assimilate the game’s action part into it without feeling out of spot. I mean, I enjoyed the visual novel part of the game, but if I was suddenly thrown in a pit to hurl around an Orb while trying to extinguish the enemy’s flame without any meaning, then it would have felt quite random, if not ridiculous. Instead, the game walks us through this ancient ritual step by step, allowing us to explore its ways, laws and how it is perceived by everyone around us. Throughout our journey, we get to learn the characters more and more. We learn of their past, their present and what they hope to do in the future. They give us reasons to select them, train with them and in the end anoint them to give them the chance to be freed. We get connected to this band of characters called the Nightwings who are basically a bunch of outcasts that do not seemingly even all fit in the same team but somehow have come together. We are their Reader and we are given the task of guiding them through the lands of Downside in their quest for freedom. The game’s story has a lot more than just the quest for Freedom for a bunch of Exiles of course and things get very complicated but also very interesting as soon as we get to understand everyone’s reason for seeking this much wanted freedom. Regarding the Rites themselves, we get to fight them only with three characters at any time (triumvirates only) and each character has his/her own abilities to use in this little mini-game of extinguishing fire. Controlling one character at each time, we can cast our surrounding aura to hit an enemy and banish them for a short while, we can jump to avoid enemy auras and we can pass to an ally. The game gets very strategic as soon as we learn a lot of the moves that are available in the game, but unfortunately, that takes a while. If it wasn’t only for that, the game’s slow visual novel style gameplay up to the point that the Rites get harder makes it a bit more slow for us to get to the point of really enjoying the Rites. As soon as we get used to the Rites though and how they work, things start to get very interesting strategies wise. We get to choose masteries (like a talent tree) for each of our Exiles, equip Talismans (items that give us power or certain effects/abilities) and to mix and match our Exiles in a way that we deem is suitable to the kind of playstyle we like. Halfway through the game, you find yourself thinking like a master of the Rites where each choice you make makes sense in a certain way against a specific enemy team that you know is using certain tactics and that… is quite awesome. You are the Nightwings’ guide and they trust you with their fate, both in and out of the Rites.